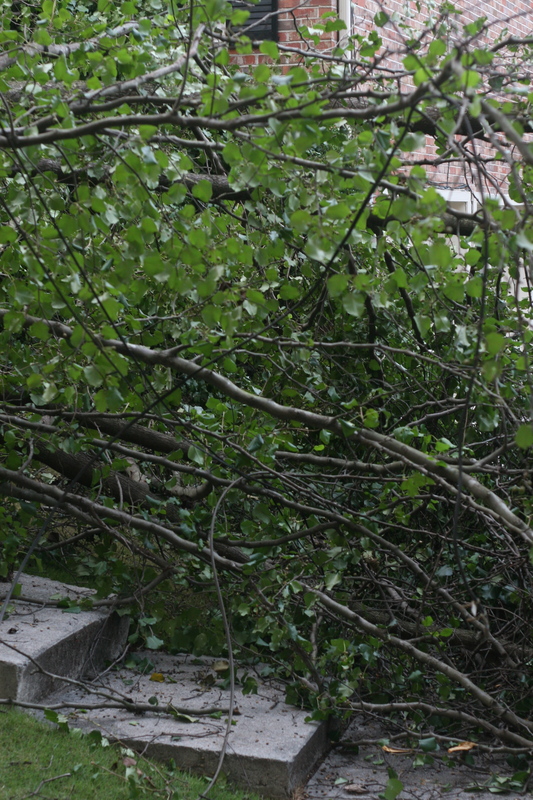 A massive limb fell across our front yard this morning, entrapping our car, which was fortunately empty at the time. But what was eerie about the collapse wasn’t just the sheer size of the limb. It was the fact that it had looked so sturdy. It snapped out of nowhere on a sunny, windless morning. I thought that tree limbs fell because of storms, or strong winds. It doesn’t seem to be all that uncommon an occurrence in tree-filled Atlanta. Several neighbors who walked by to observe the carnage said that the same thing had happened to them. They nodded sagely and said that Bradford Pear Trees were usually to blame. 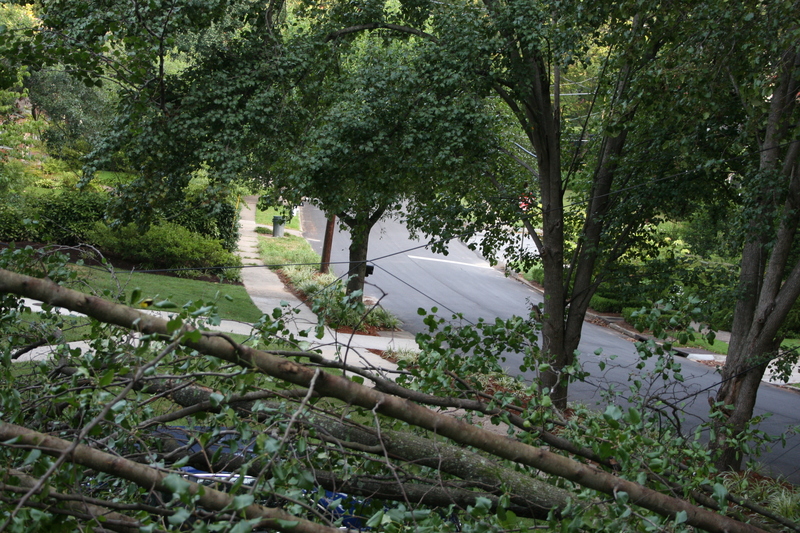 I was impressed by how quickly the City of Atlanta came to saw up and take away the fallen tree. We called them at 8:30 AM, right when they opened for the day, and they arrived within the hour. After assessing the damage, the foreman of the cutting crew said: “Ma’am, I’m sorry, but we’re going to have to take down the entire tree.” His tone implied that I would be dismayed by this diagnosis. After watching the carnage caused by a tree that did not appear to be damaged, or hit by any lightning or other force of nature, I couldn’t wait to see the tree come down. In fact, I wanted to suggest that they take a few others down too, while they were at it, but they seemed ready to move on. They suggested that I call an “arborist” from the city to check the health and safety of the other trees. I never thought I would use a word like arborist in a sentence, but I guess that’s what living in a tree-filled city for a year will do to you.